Stevnsfort was once a "Cold War" top secret military outpost on the edge of Denmark, south of Copenhagen, across from Sweden. In the event of a war there were two 2 barrel guns positioned to stop any Soviet ships trying to move through the area. 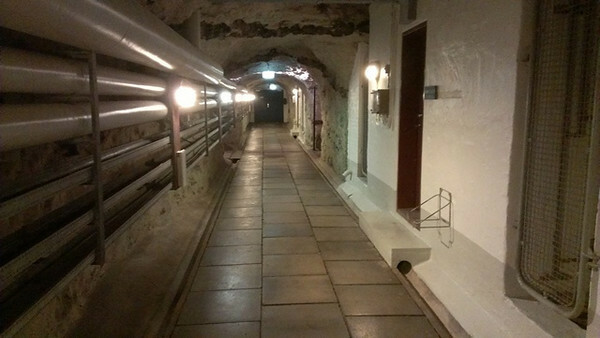 The station was only recently revealed to the public and is now a museum, with guided tours down into the bunker.